The focus of this love spell in candle magic is to attract a non-specified romantic partner. While you may be tempted to attempt attracting the love of a specific individual, it is important to understand that working magic on another without their consent isn’t a karmically sound move. By working magic on another without their consent, you are imposing your will on theirs without their permission, and this is an unfortunate and easy mistake many make in their practice of the craft. Additionally, we make great presumptions about the machinations of the universe when we perform candle magic in this way, when we are seeking love of another, what we are actually seeking is to no longer be lonely. To have that connection in our lives that we have a companion of our heart to share the future with. We may think we know that we know who this person is supposed to be, but chances are if we had met that person, we’d already be with them. Following that logic, we’ll be crafting a spell that will attract someone, another person who is seeking love who is in the same place you are, that will bring you both the happiness you seek. We will begin with this, it is the happiness of a shared love, with someone compatible with you, that we seek in this spell. 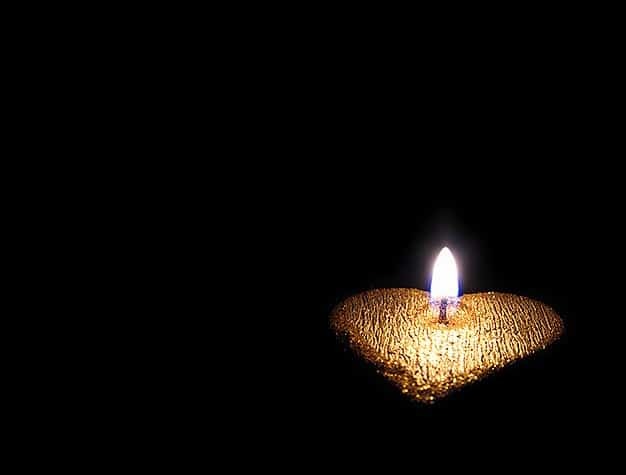 The first step is to get a candle of a color that will draw to you the form of love you want. A white candle will stand in for just about any other color you need, though if possible it’s best to use one of the focused colors above. Select the form of spell you’re wanting to cast, one for romantic, or one for passionate love, mix the oils for the appropriate one in equal portions, you won’t need much. 10 or 20 drops of each into a shallow dish and then stirred with your finger in a clockwise (called Deosil in witchcraft) motion. How To Do The Love Spell? Using your tool, you will carve a heart, and inside the heart a small spiral, starting from the outside and circling inward to attract the type of love you desire. You will then take the oil, and apply it from the top and bottom tips of the candle, going towards the center. This will cause the spell to attract the love you’re looking for towards you.